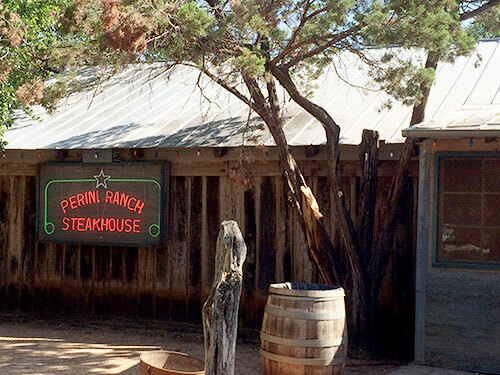 I just had dinner at the famous Perini Ranch Steakhouse in Buffalo Gap, Texas. It is rated as one the best steakhouses in Texas and actually "brags" about it's bad location. 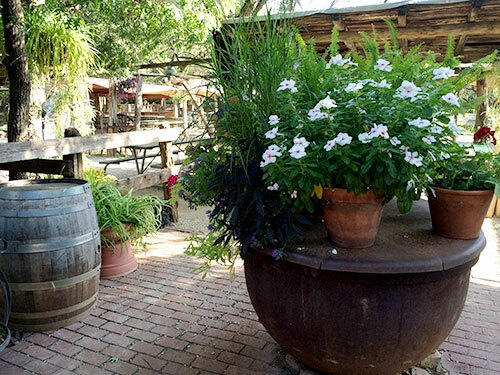 Buffalo Gap is located 18 miles south of Abilene, Texas in the middle of nowhere. Even with the bad location, reservations are highly recommended. I have always wanted to try this place out and have missed several opportunities for one reason or another. One reason was I wasn't really sure where it was. One time I was pulling out of Abilene State Park pulling my Travel Trailer and drove right past it. They don't really have room for RV Parking. To get there just take FM 89 west out of Buffalo Gap. On the right there will be a sign that directs you to a short road to what use to be a barn but in 1983 became a steakhouse with fine steaks. Notice that I did not say a fine steak house. It was a good barn and it is now a good steakhouse but it very casual and comfortable and it serves fine steaks. The day we arrived, with reservations, it was 101° outside. This successful steakhouse did not have air-conditioning until 2013 but now it does and we were glad. We were greeted, seated and served by a very courteous staff in the main dining area. The indoor dining area was relatively small but adequate for this hot weather. I would guess that a full two thirds of the seating was outside on the patio. You might wonder, "Who would eat outside when it is so hot?" The answer is almost anyone most of the time. In West Texas, unlike most places, when sundown approaches and the beverages are cold the temperature is comfortable. I had a salad, a beef filet (medium) squash casserole and Clara had a salad, a beef filet (well done) and new potatoes. The reason I ordered a squash casserole is when in season, many of the vegetables served are from the garden right outside the entrance. I have eaten steak in many excellent restaurants in Texas and a few around the world and this was the finest steak I had ever had. 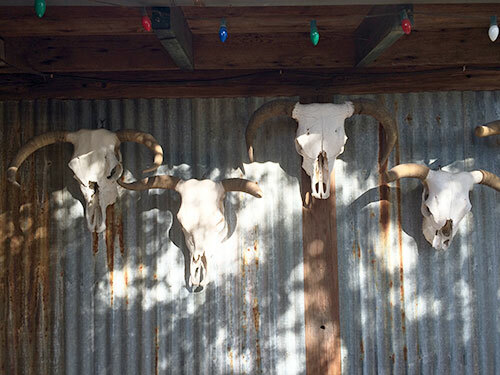 Perini Ranch Steakhouse – Buffalo Gap, Texas I recommend it. 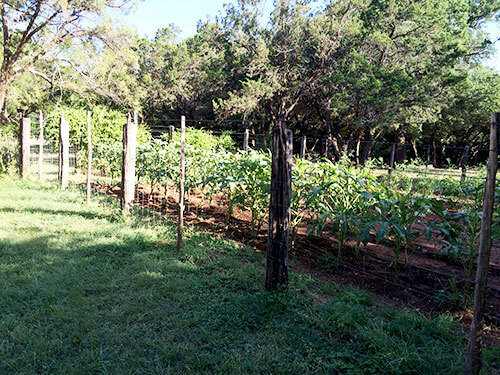 Many of the vegetables served are from the garden right outside the entrance.